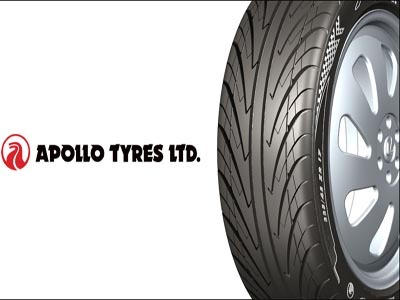 Technical analyst Shailesh Kadam of Pioneer Inve has maintained 'buy' rating on Apollo Tyres Limited with a target of Rs 72. According to analyst, the investors can buy the stock with a stop loss of Rs 62. Mr. Jain said that the said target can be achieved in a period of one week. The stock of the company, on December 27, closed at Rs 64.65 on the Bombay Stock Exchange (BSE). The share price has seen a 52-week high of Rs 88.80 and a low of Rs 47.25 on BSE. Current EPS & P/E ratio stood at 5.88 and 11.05 respectively. Despite the import duty cut on natural rubber, Apollo Tyres stated that it may raise the rates of its products in coming time with the aim to counterbalance affect on margins. Apollo Tyres Chief Financial Officer Sunam Sarkar stated, "Our margins are under pressure because of very high prices of natural rubber. We are currently looking at increasing our product prices." Apollo, on Dec 22, has made entry in Bangladesh by joining hands with Rahimafrooz Distribution, maker and seller of batteries used in automobile and industry sector. "Bangladesh is predominantly a cross-ply market and that's where we think we can create value for our customers in mileage, fuel economy and service. The Rahimafrooz Group, with its aspirations is a perfect partner for us, with its robust network, its trained sales force and service backup," Apollo Tyres Head (International Sales) Rajesh Kumar said in a statement.